This is a 100% original section of aircraft from WW2. 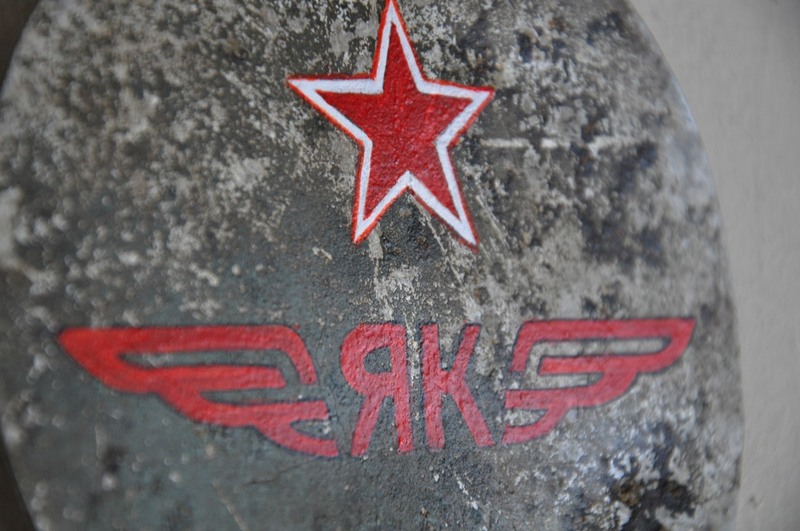 The red star with black line and surrounding grey paint are all original from the early 1940's. The internal structure shows an innovative flared hole rib with double rivet stringers and this sections of aluminum between each stringer. This is a perfect match for the Tupelov ANT-40 or SB ( Fast Bomber) used by the VVS Russian air force. The SB was designed by A.N. Tupelov (hence ANT-40) but was called the SB. It used very modern construction techniques. The Tupelov SB was also used in the Spanish Civil War; by the Finns in the Winter War and by the Chinese. There is only one SB on display - a recovered machine as all other aircraft were either lost in combat or scrapped by Stalin in the 1950's. 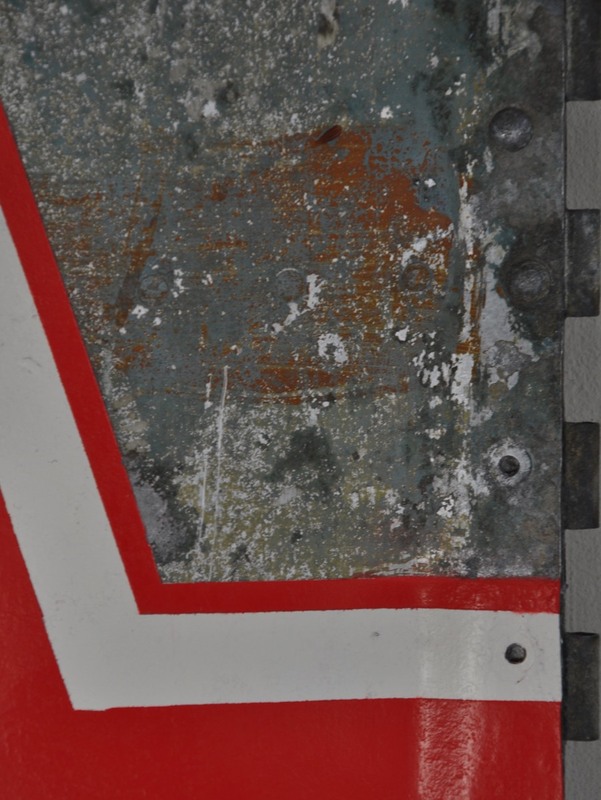 The SB at Molino shows that this panel matches exactly the rear fuselage of the SB. We have found some original wartime film that shows the inside of the SB and confirms the structure. These are shown in the last two images. The black outline to the Russian Star also confirms this to be an early war aircraft. So a very rare machine and a very rare part with the original paint and national marking. 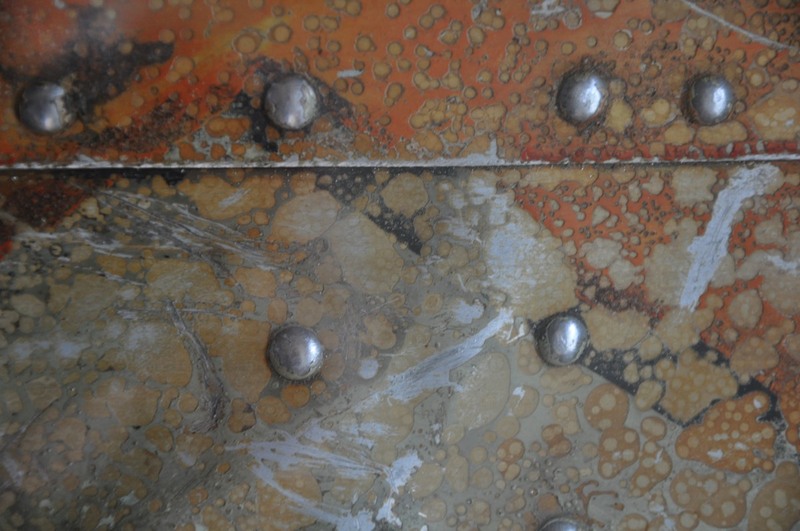 We have acquired the panel - straightened it out; cleaned the surface gently before applying a coating of wax. We have made a shadow box and mounted the panel in the box with a plastic sheet at the front for safe transport. The box is in a grey shade and we have painted the inside in dark green. The box measured 64cm x 58 cm x 8 cm. 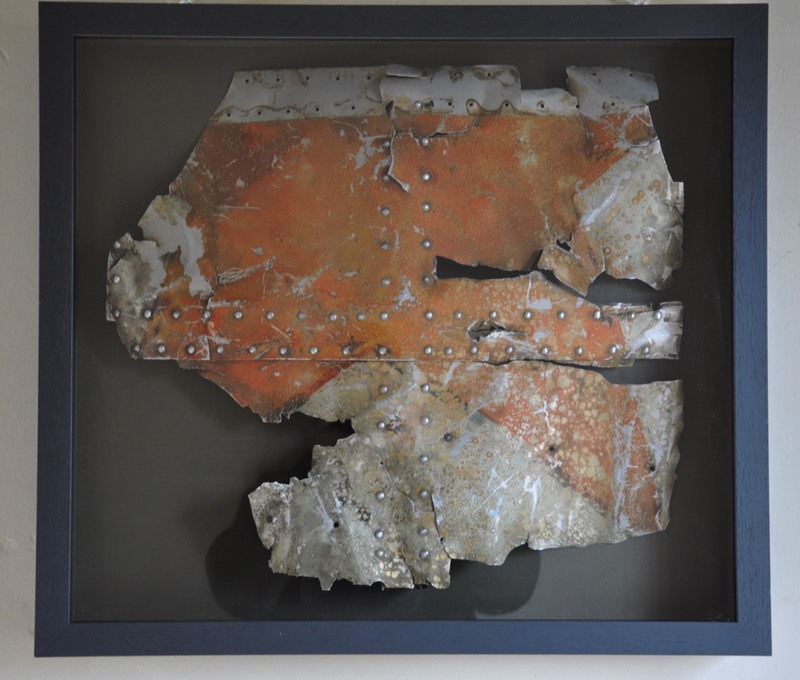 This is a a section of under wing panel from a Yak 9 which was recovered form Oranienburg airfield in Berlin in 1945. It has been painted with artwork applied to a Yak 9 flown by the French Normandie Niemen Escadrille on the Eastern Front. 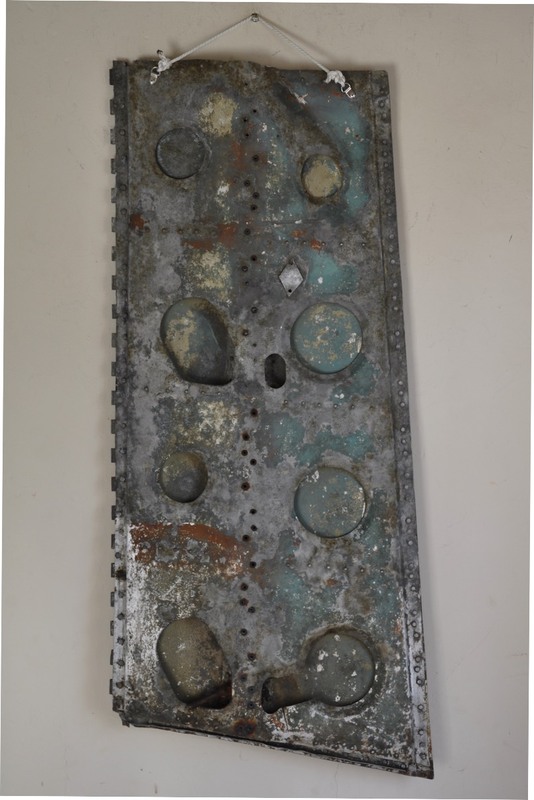 An original section of WW2 Russian airforce VVS landing flap. This piece has the original orange/brown primer along the joints as well as the original blue paint on both sides. We have added a Russian star to the flap. The structure of the flap is an exact match to the distinctive landing flaps used by Lavotchkin on their La-5 and La-7 aircraft. 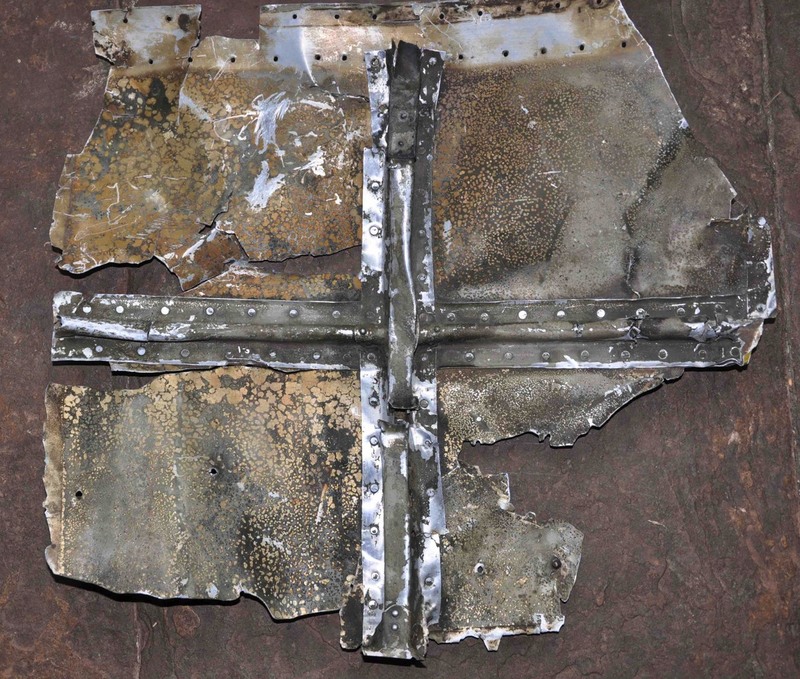 This panel came from Germany so must be from an aircraft crash at the end of the war inside Germany. It could be from either an La-5 or an La-7 but it is assumed to be from an La-7 given the location. It is not a complete flap as the thinner end continued for a further two sets of flared holes. This end was crumpled and has had the jagged edges removed. The blue/grey paint is 100% original. It has been cleaned and has had a mild clear wax applied to the surface. 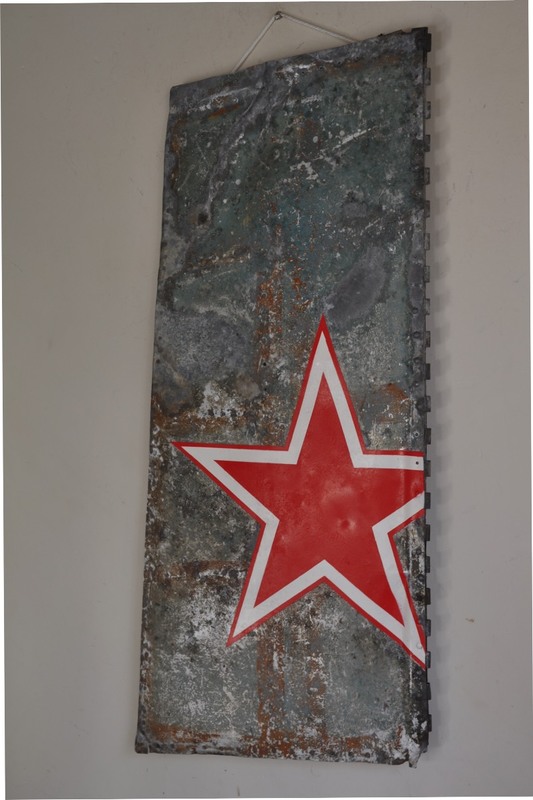 The Red Star has been applied to make this a decorative piece that can hang in your office, bedroom or study. Its dimensions are 97 cm long x 47 cm (tapering to 39 cm) and 3.5 cm deep. It hangs 110 cm long. We will ship to any location upon request. Shipping shown for UK and US. 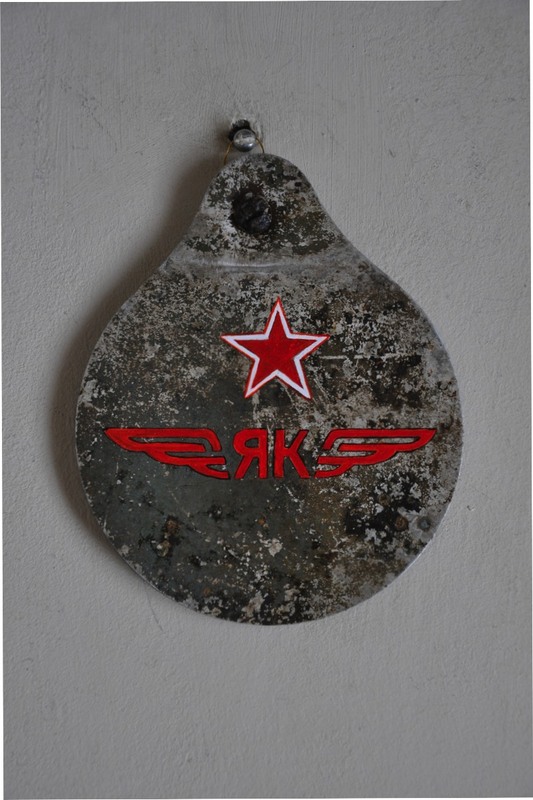 This is a hatch cover from a ww2 Russian airforce aircraft purchased from Poland. The green paint is the original ww2 Russian paint. To the rear there is a poorly struck inspectors stamp. We believe it form a Yak - either a Yak, 1, 7, or 9. due to the characteristic shape used on all the models. We have painted the Russian star onto the panel and the Yak logo. 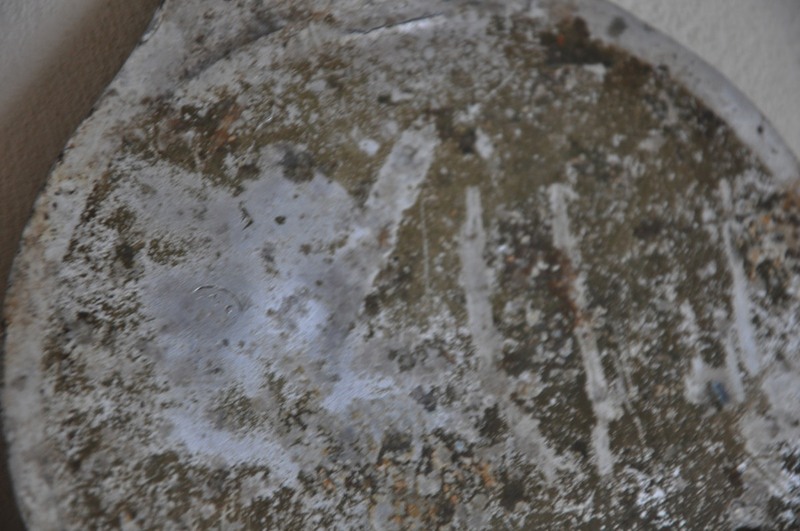 The metal size is 15 cm diameter x 18 cm total height. 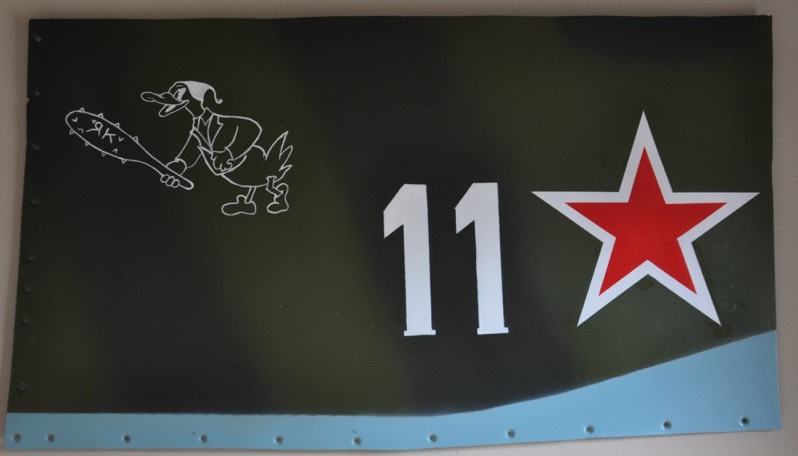 A selection of real WW2 VVS Yak 9 panels hand painted with Nose Art. Click on image for details and prices.